In HCR ‘Heavy’, we provide the gateway programming for women who want to return to or start more advanced fitness that involve running, jumping, impact and lifting weights in a heavy and dynamic fashion. After carrying out our unique 4 – POINT DEEP CORE SCREENING, we create a programme that is TOTALLY bespoke to your needs and the activity that you want to take part in and gradually progress you towards your goals. This is an ESSENTIAL programme for new mums wanting to get back to running and lifting weights and anyone who has experienced any amount of leaking when they progressed to a more dynamic programme. Note: A pre-requisite to this course is our unique and ground-breaking 12 or 6 Week ‘Every Woman’ programme that is truly a gift that keeps giving and one that EVERY WOMAN should give herself at least once in her lifetime! Enjoy education regarding your Pelvic Floor, Core, Nutrition and women’s fitness/wellness at whatever life phase you’re in. The programme is adaptable for virtually all women and is designed to ‘bring you back home’ to your amazing body with your Pelvic and Core Health at the centre of our focus. Are you a woman who loves to or wants to run, lift heavy or are you involved in a dynamic sport? Are you an amateur or professional athlete who wants to know more about her Pelvic Floor, Core and overall health AND return to your sport safely and with deep respect for your Pelvic Health? Have you experienced the odd leak when you have returned to running, lifting heavy or on your return to gym and know that that’s a sign that you need to take control of your Pelvic Health? 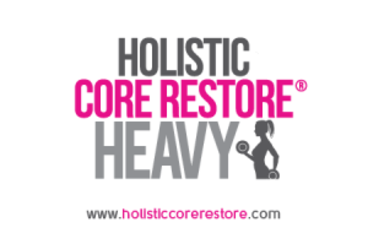 Are you a woman that wants an easy to perform ANYWHERE, modern and effective way to strengthen her Core and re-establish its role as part of her whole body? Do you want a better looking belly but know it’s an inside out job and totally linked to the rest of your body so need to go deeper and work smarter than just doing ‘sit-ups’? Are you ready to prioritize this area of your health and learn ESSENTIAL skills to last you a lifetime and enable you to get back to doing what you love? You’ll then be all set to attend for your first session where you’ll undergo an analysis of your goals including the demands of your sport and how best this programme can be tailored for your bespoke needs. Both the homework and following the HCR Nutrition Guidelines are an essential part of the puzzle and when followed will truly improve your results and the value you derive from the programme. Because you will have already attended the Every Woman course you should have all this mastered by now, but if not, we’ll support you on this also. We can also provide further programming aligned with your particular sport. This programme runs for 12-18 weeks (depending on whether you have previously attended the Every Woman course) and you will meet with me once per week and complete your online Pelvic Health homework, which is approximately 10 mins in duration a further 3-4 times throughout your week. The homework and your ‘return to sport’ exercises are progressed and so over the course of the weeks, as your strength and co-ordination improves, the exercises will become more challenging. You can follow this programme either in person one-to-one or via Skype. This 12 week course costs £550 one-to-one if pay up front or £50 per session if you wish to pay in monthly instalments. You must have already attended the 6 Week Every Woman foundation course either in a group setting or one-to-one before attending this course.